Amid weak global cues, silver prices fell by Rs 166 to Rs 37,921 per kg in futures trade Monday as speculators cut positions. 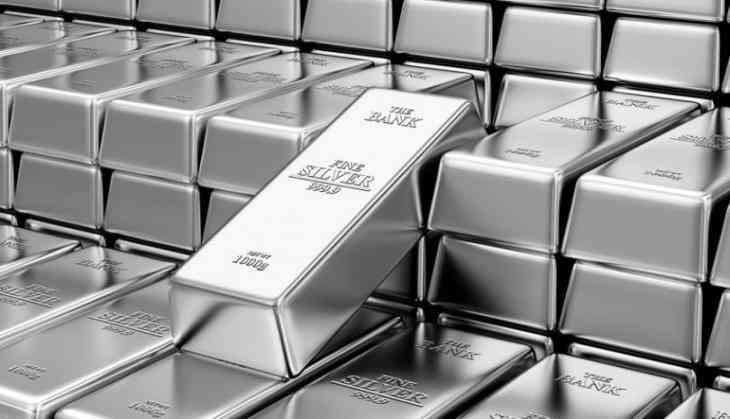 At the Multi Commodity Exchange, silver for delivery in May was trading lower by Rs 166, or 0.44 per cent, to Rs 37,921 per kg in business turnover of 990 lots. In a similar fashion, the April contract of white metal fell by Rs 159, or 0.42 per cent to Rs 37,960 per kg in 1,239 lots. Analysts said cutting down of positions by participants in line with a weak trend overseas as equity markets gained and the dollar steadied ahead of a US Federal policy meeting later this week, led to the fall in futures. Globally, silver was down 0.07 per cent to USD 15.35 an ounce in New York. READ NEXT >> Nach Baliye 9: Here's why Jennifer Winget hosted dance show will have a Kasautii Zindagii Kay connection!